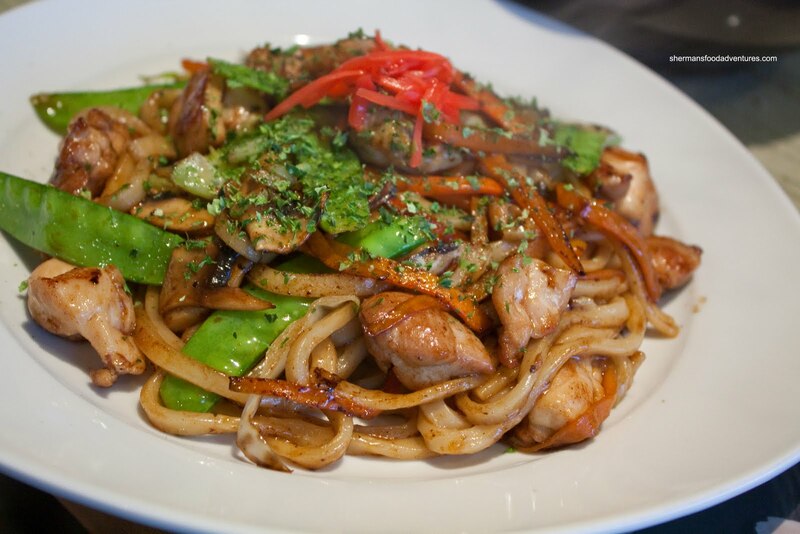 Authentic Japanese-run restaurants. If that sounds more like a joke to you than a statement, then you're probably well-versed with the Japanese food scene in Vancouver. It is true. 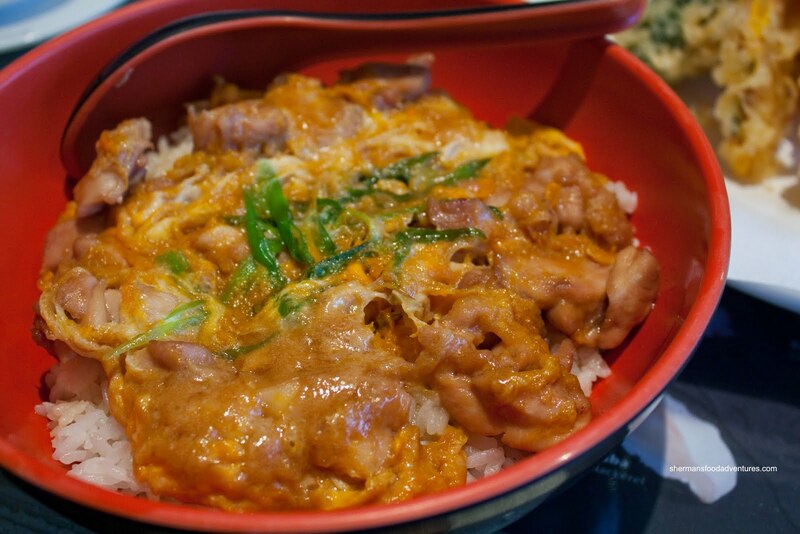 In such a large city with predominant Asian influences, there are very few Japanese-run Japanese restaurants. And considering the plethora of "Japanese" restaurants, that is really too bad. Now, if you read this blog often, you know my ranting about how Vancouver deserves the restaurants it gets. What I mean is, that most people are not really all that concerned about authenticity, so a restaurant is not necessarily all that interested either if there are customers and they make a profit. I accept this and I am generally not crying foul about authenticity unless the food is not fit to eat. With that being said, I still enjoy a Japanese-owned and operated restaurant. The ones that I have been to are Ajisai, Tojo's, Takarabune, Octopus' Garden, Fuji and Toshi. 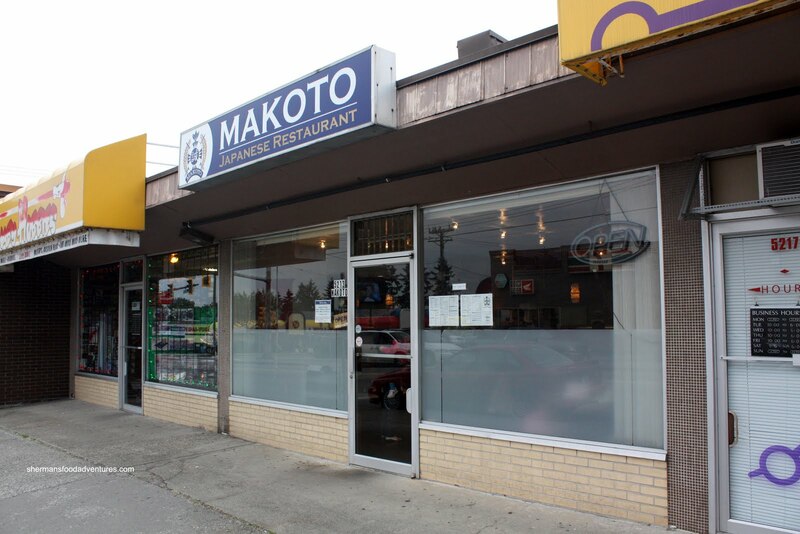 Another one to add on the list is Makoto stashed away on Rumble in Burnaby South. It's a small place run by some friendly people. We were greeted warmly and it felt very comfortable right away. 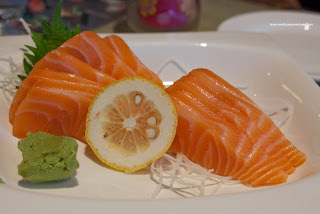 As for the food, we started with the Salmon Sashimi, which at first, concerned us. When it arrived, the salmon had very little colour. However, one bite into the flesh, our fears were alleviated. It was fresh and very sweet. How looks can be so deceiving. Well, I should of known this since the pigment in the flesh is a result of what the salmon eats and is not indicative of the flavour per se. Next, we had the Volcano Roll, which looked much different than its description in the menu. 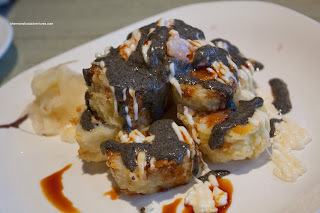 What it turned out to be was a fried roll consisting of spicy tuna with scallops and tobiko topped with lots of sweet mayo and black sesame sauce. As a result, the roll was very wet and soft. Texture aside, the combination of flavours was quite good though. I really liked the sweetness of the scallops with the aromatics of the black sesame. 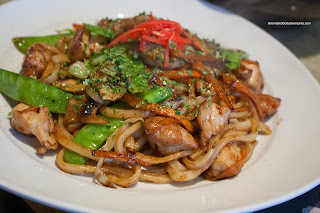 We ended up ordering 2 dishes that the kiddies *might* eat starting with the Chicken Yaki Udon. I know a plate of fried noodles is not exactly the most exciting thing to talk about; but this was very good. The udon was perfect. It had a nice chewiness and bite to it while not being overly doused with oil. There was a good amount of moist chicken meat, crunchy snow peas, mushrooms and carrots with a small topping of pickled ginger. It was seasoned just enough so it was neither too salty or sweet. The kids loved it too and I ate the remaining portion of it since it was so good. As for the "backup" dish, we opted for a rice bowl in the Oyako Don. This was a substantial amount of food with lots of tender chicken and nicely cooked egg on top of chewy rice. Now, it is always a welcome sight when the rice is properly drizzled with mirin and soy. However, there was so much in this bowl, the rice was completely soaked and becoming wet. The flavour was good; but there was just too much of it. Hence, it was very sweet in the end. Lastly, we got the Assorted Tempura for the kiddies. Let me rephrase that. We got the tempura batter for them. They are not so hot on the fried veggies; rather, they feast on the batter only. 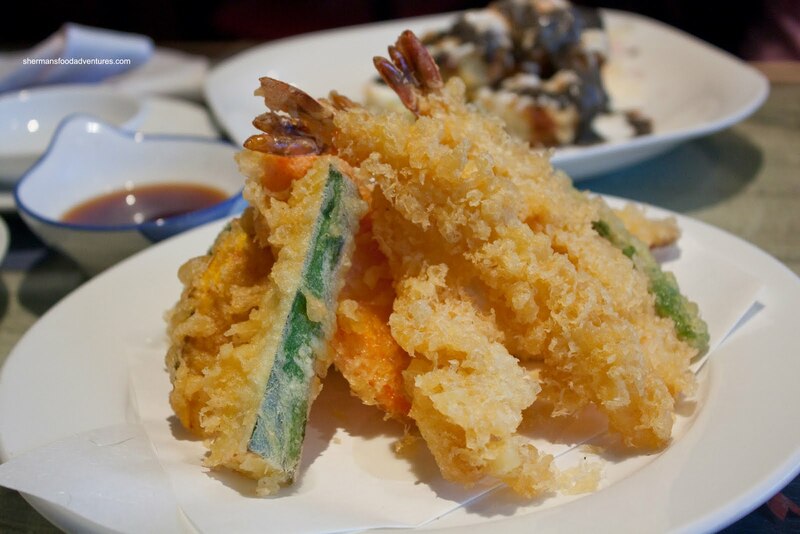 Maybe I should just ask for tempura bits next time... This was good as well - crisp and not too oily. From what we had, I can say we were happy with our meal. 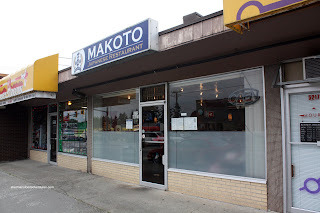 Nothing mind-blowing; but definitely a step above the generic Japanese restaurants that litter the Vancouver landscape.